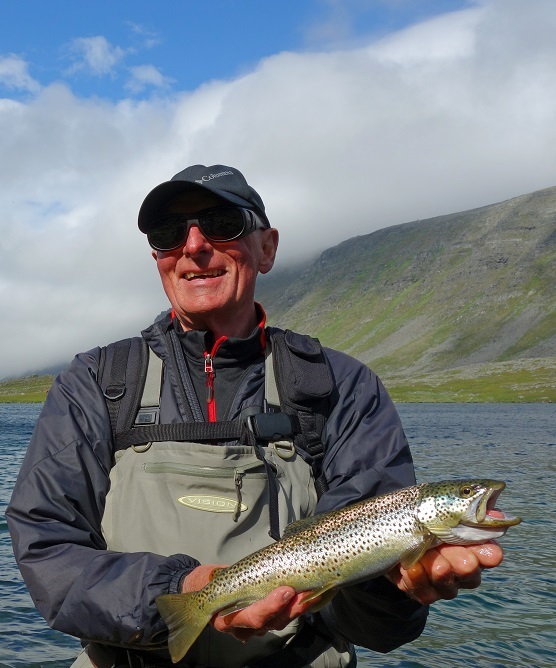 What Nordic Safari is all about! Here are some impressions from a two weeks stay by our dear guest Peter visiting us at Nordic Safari. 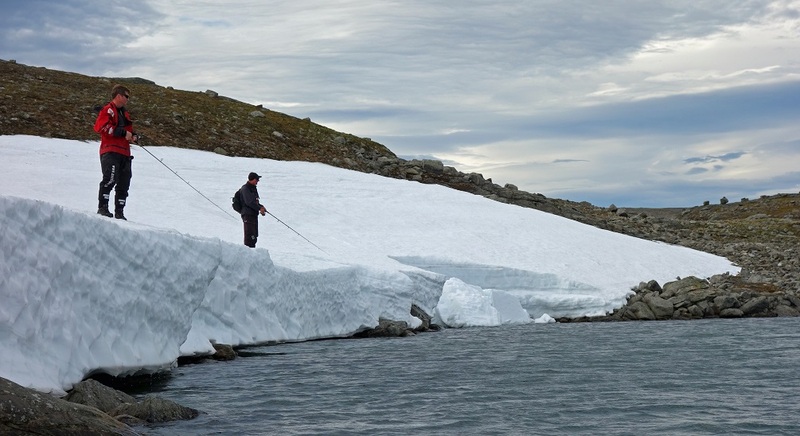 During this time we have been guiding him every day on just a fraction of what there is to fish up here. 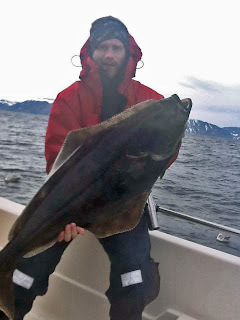 Halibut, cod, salmon, trout, arctic char, searun arctic char plaice and many more! This is really out strength, there is always a new species to target and the fishing is more or less in world class. We will not make this a long text blog, we will let the pictures talk for themselves! 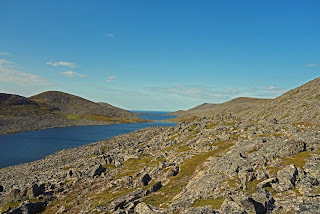 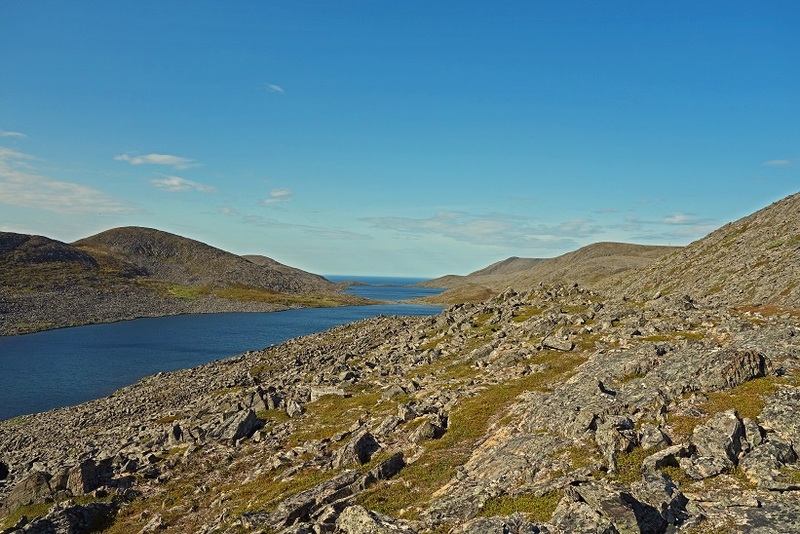 Lake, lake and the barents sea! Allso a way to put anchor! Fishing one the last snow. 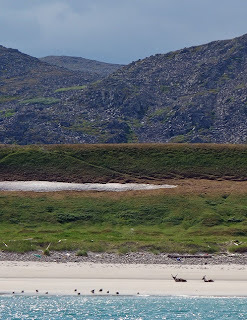 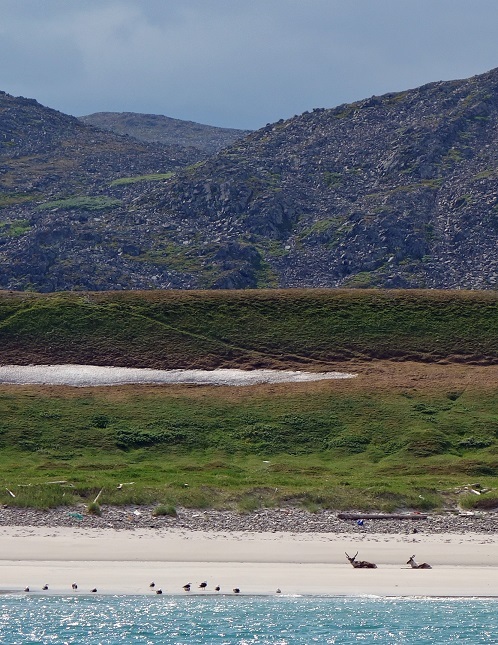 Two reindeers on the beach. 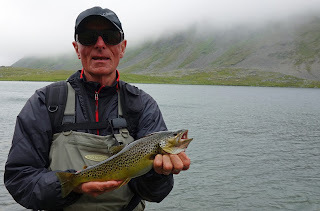 A good sized brown trout. 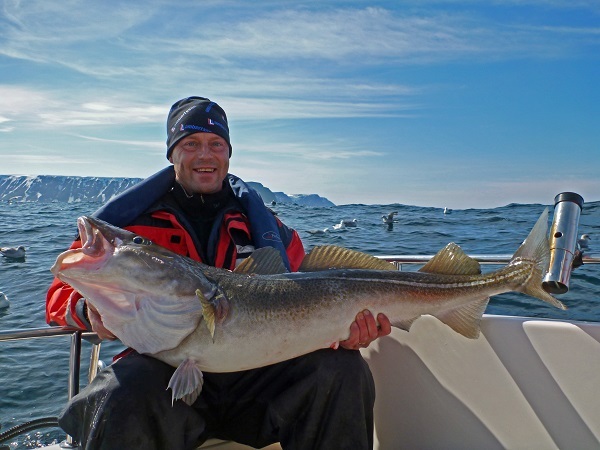 IMAX Dry suit is good for many things. 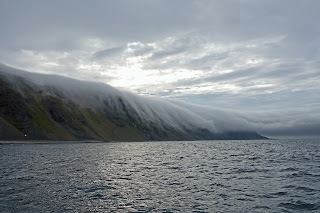 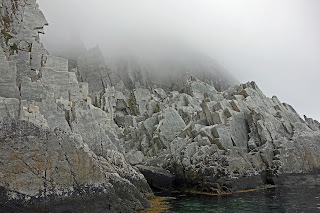 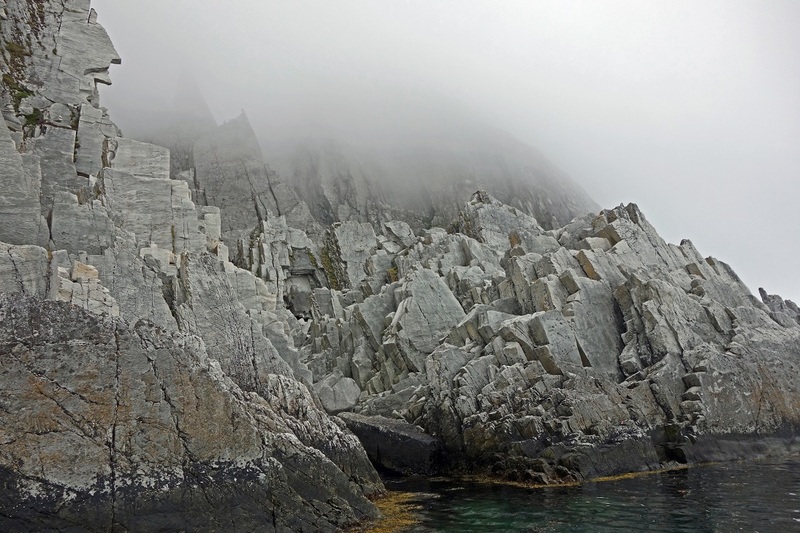 Low clouds are Rolling down Cape Nordkyn! 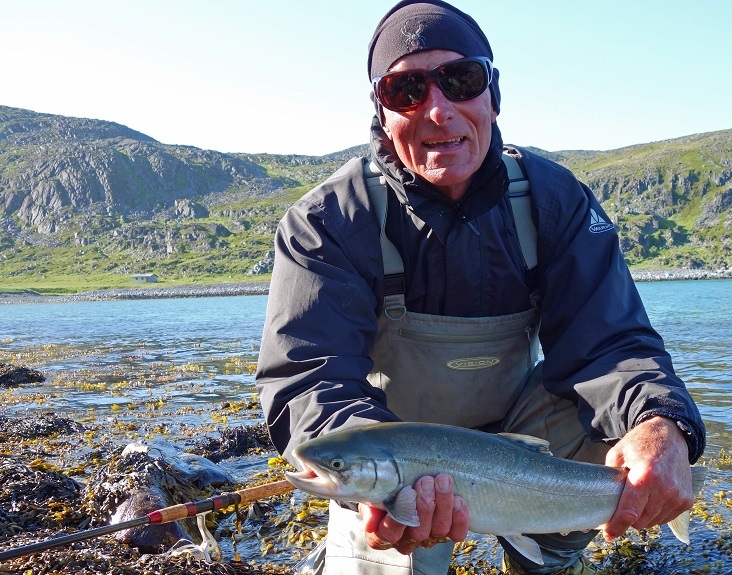 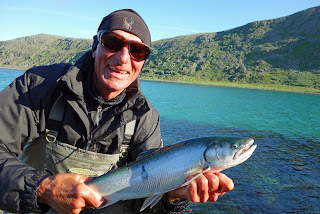 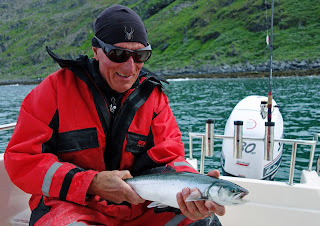 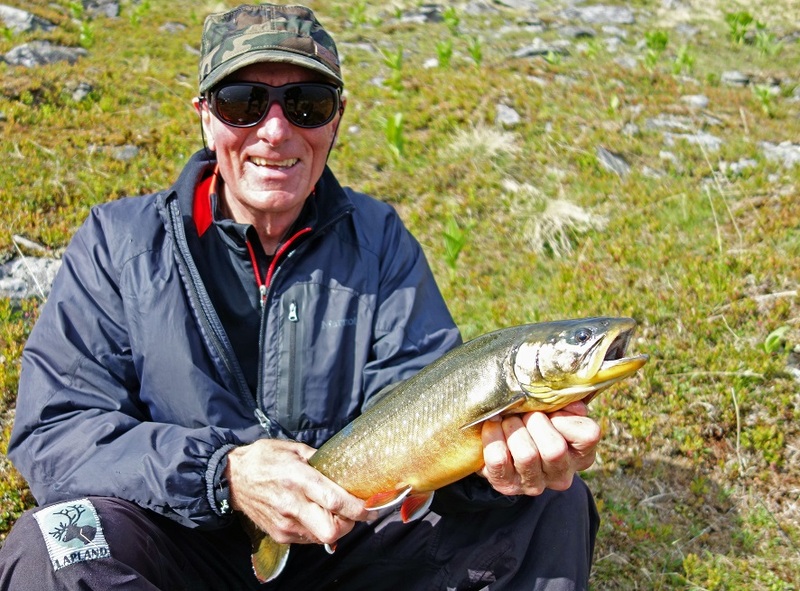 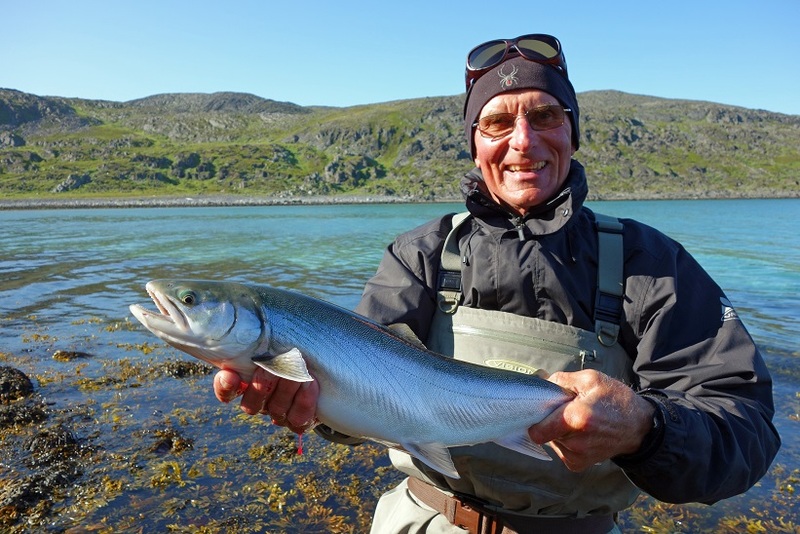 And here with a really good sized searun arctic char! And this about same weight. Trolling and casting at same fjord. 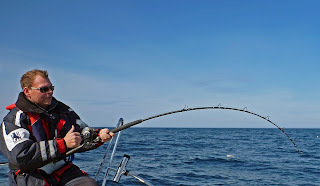 Another one caught on trolling. 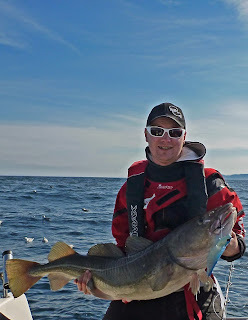 A nice cod caught on ultra light gear! 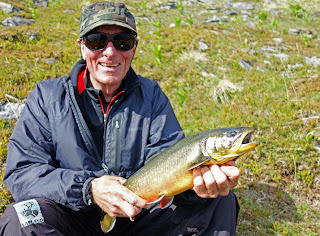 Another one with really great colors! The biggest for the day, 2,3 kilos! 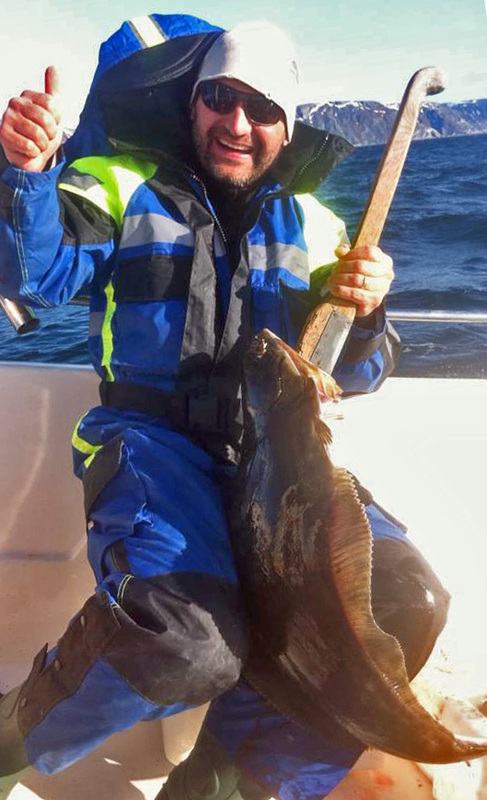 And here the guide Albin with a nice plaice. 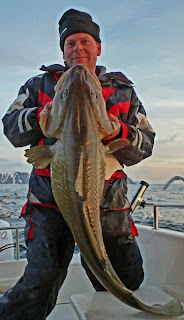 And here with the catch for the day! 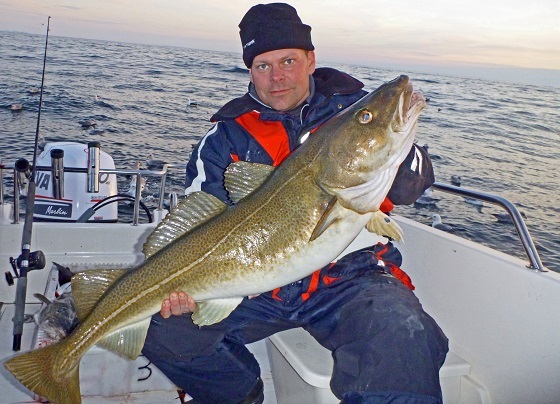 A really great cod caught on ultra light gear! 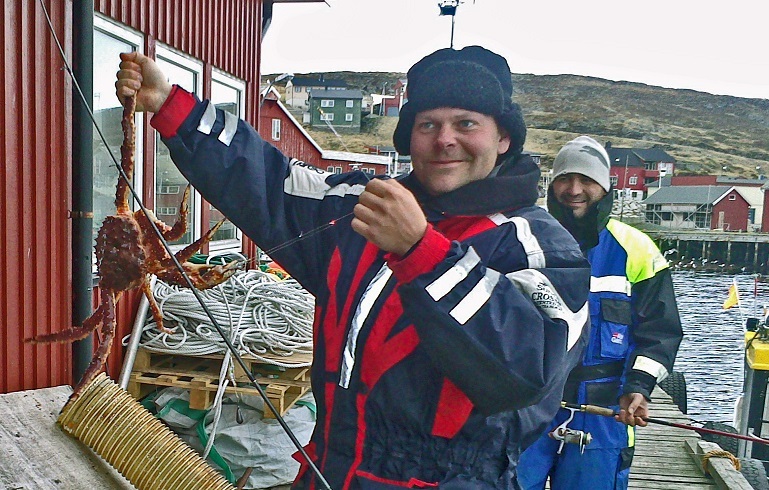 One of the Swedish team members caught a king crab when fishing for plaice in the Harbor here in Mehamn! 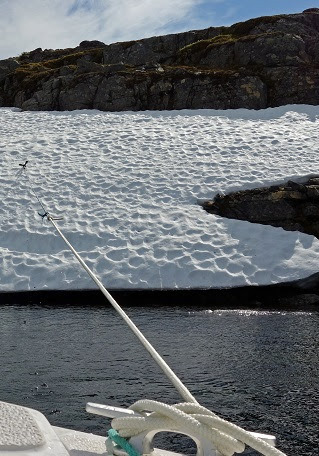 When standing on the marina holding his fishing rod he first thought he had got stuck in the bottom. However when pulling harder with the rod he succeeded to retrieve some line. After a while and little bit of struggle a king crab appears below the surface. He could hardly believe his eyes! 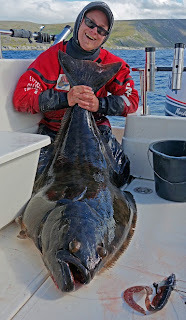 with one of it's claw! 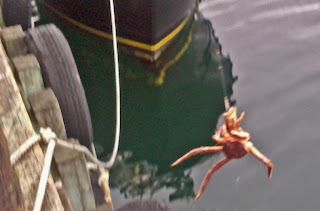 And here it is on the marina! This last week the cod fishing has been spectacular! More 15 kilo cods was caught than we could keep track on. 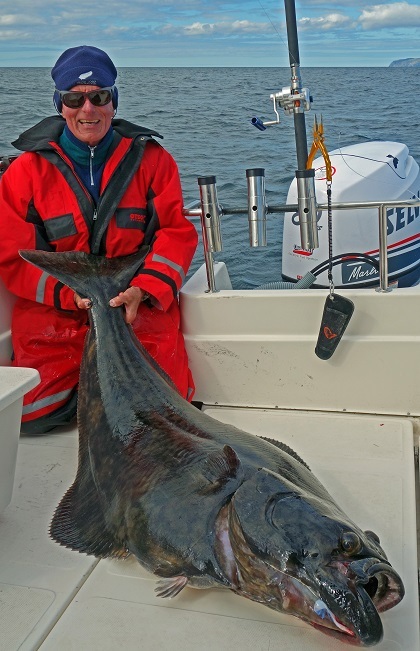 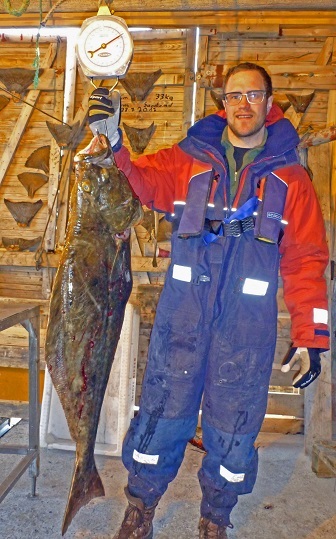 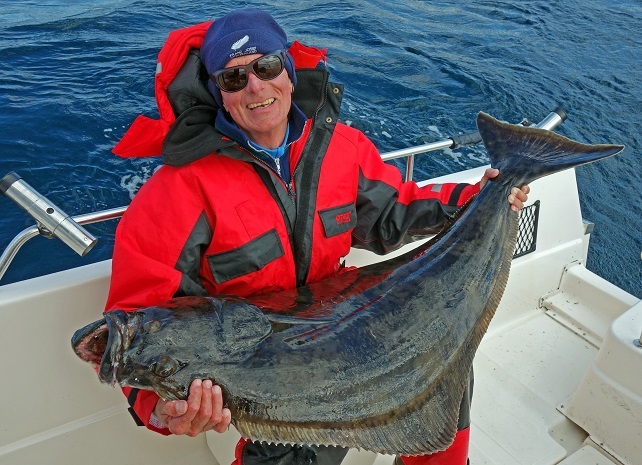 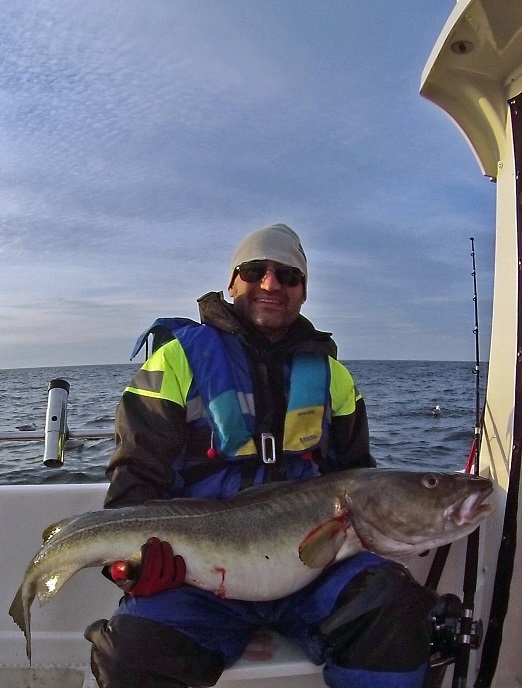 During this last week we have had two Swedish teams here, beside all huge cods they have both succeeded to catch halibut 90, 95 and 112 cm long (check out the halibut length/weight list for weight). Two of the halibuts was caught on one of our favorite jigs, the Mieko Predator Tail! 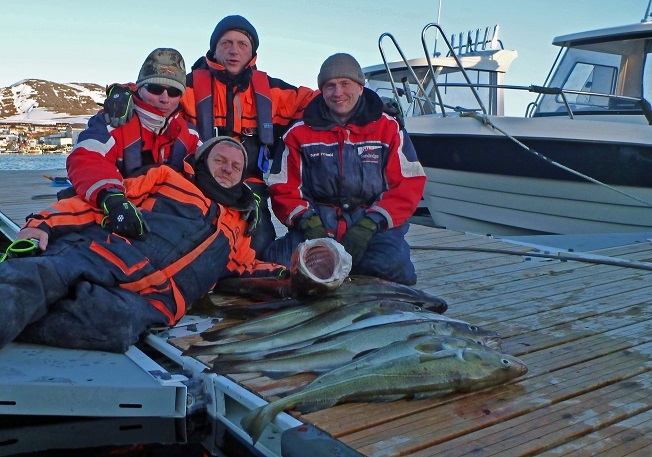 The large schools of cod are at this moment located on 30-80 meters depth and they are filling the sonar screen to the fullest! Also, now we are right in the beginning of the halibut season. The halibuts we have caught so far this year has probably been halibuts that has not spawned (reproduced) this winter and the halibuts that has spawned are on their way up from the depth on to the shallow plateau outside Mehamn. 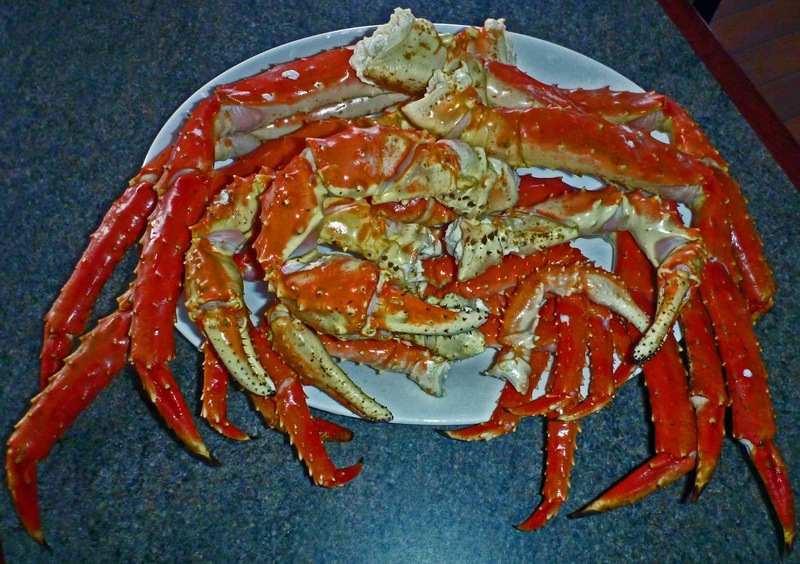 If not already at this moment then any day now! 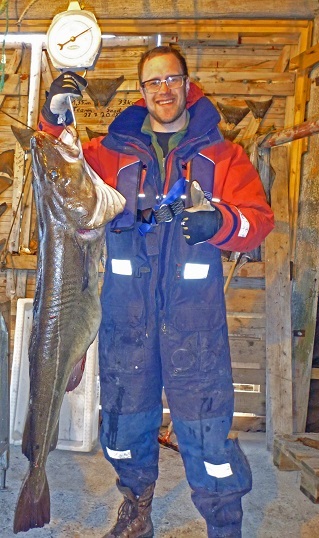 Yet Another heavy cod on the line. 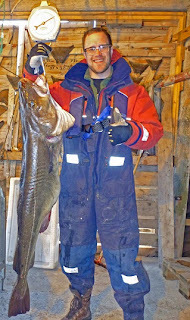 Same 18 kilo cod, it was seriously sturdy! 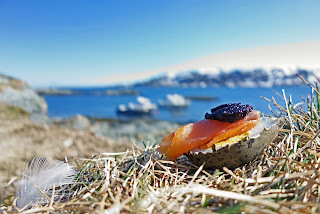 Cods, seagull eggs and king crabs! Today (02.05) was another great day out on Barents Sea with our guests from Russia! 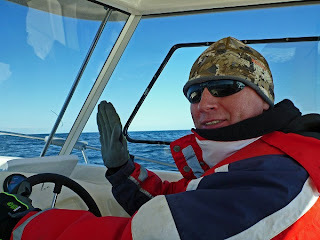 Because there were some rough wind during last night we went out first at noon today when the sea had calmed down. 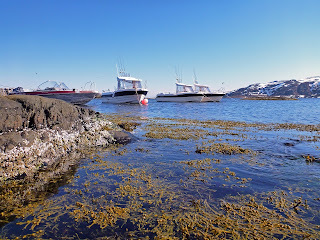 Today we went out with two Dolmoys, our 23 feet boats. 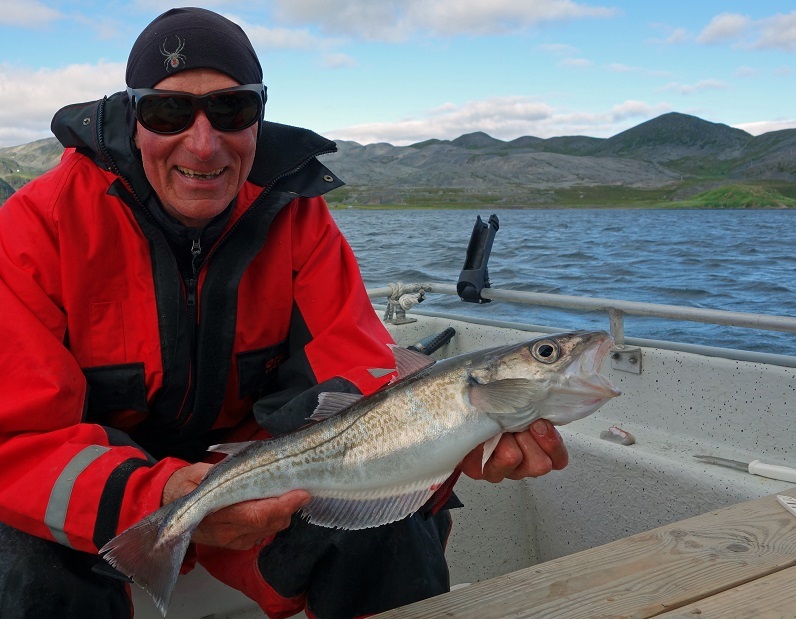 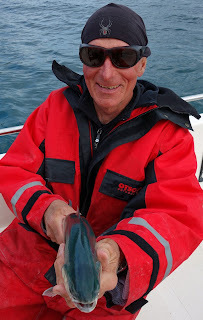 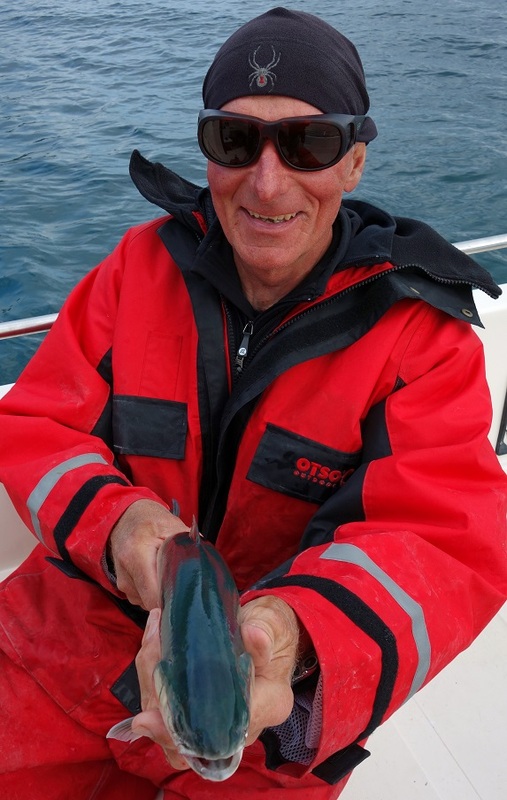 We had good fishing during the whole day and the last hour we went close to the coast scouting for seals when heading back to Mehamn. On our way out on Barents Sea. 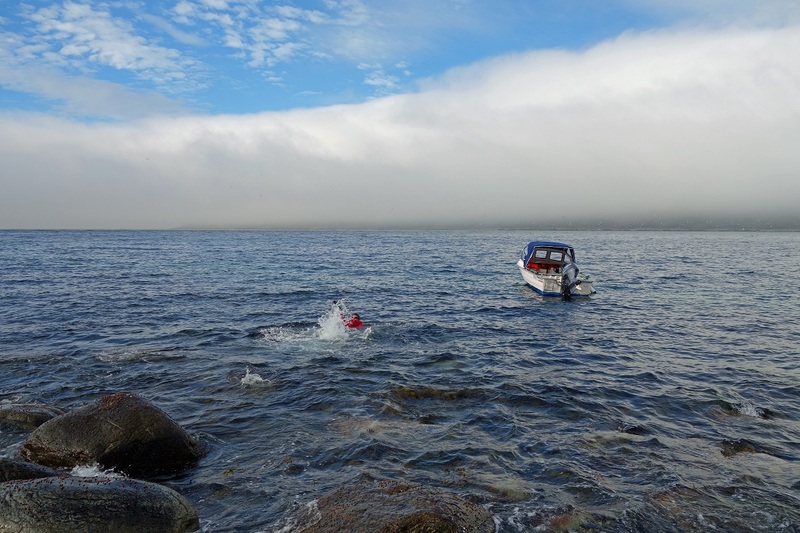 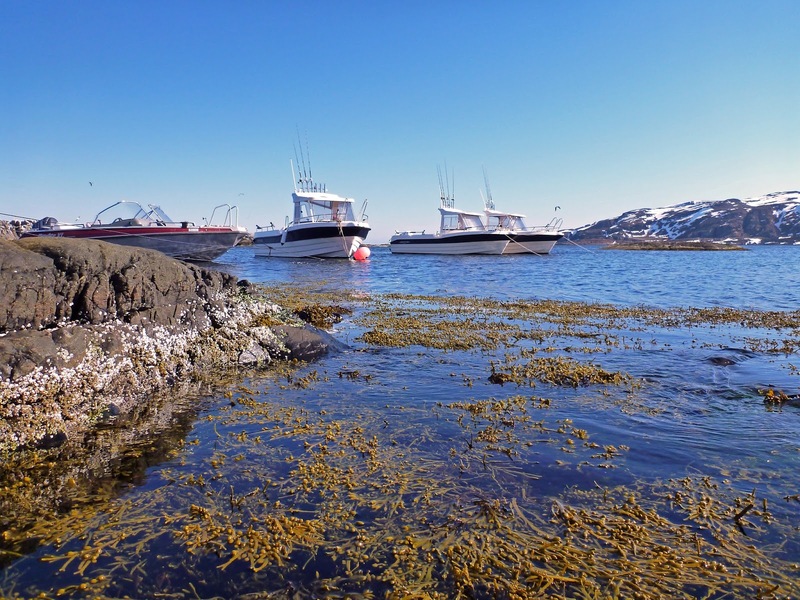 Today (03.05) we went out with three boats on Barents Sea with our Russian guests, not to fish but to go on seagull egg safari. 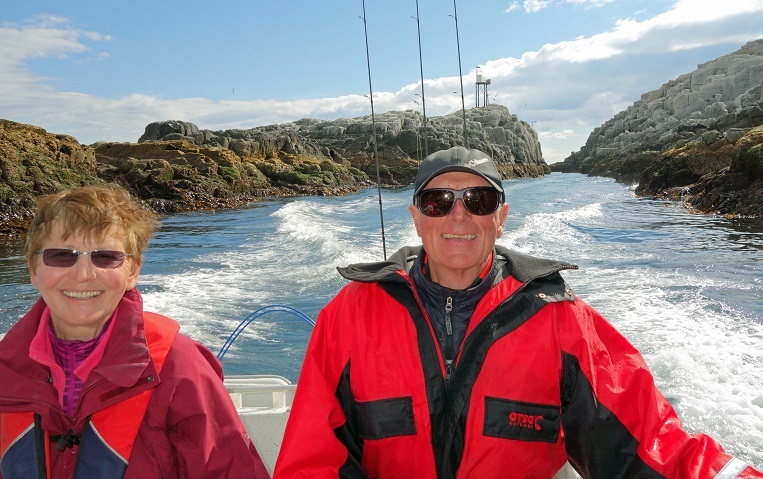 After 45 minutes of driving we arrived to the island Koi where we would spend the day. 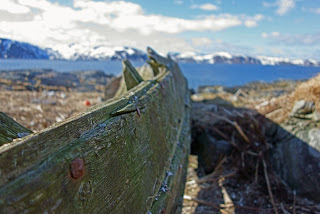 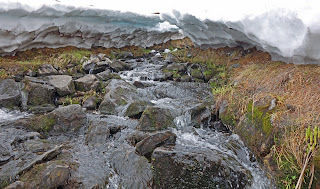 And what a day, it was the first day of spring and we felt the heat from the sun for the first time here this year! When we arrived we got introduced to Martin, Arne and Rikken. 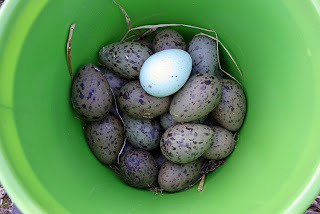 Martin owns Koi Island and therefore all rights of picking seagull eggs. We started a bonfire then got instructions about how to find the egg and what egg to take and which we shouldn’t take. 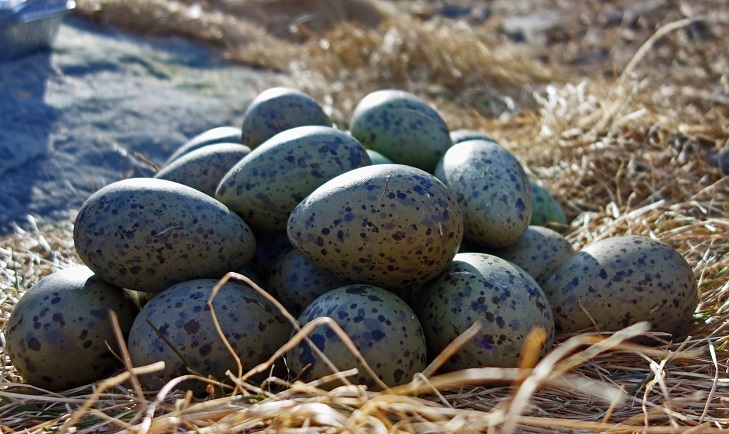 The seagulls lays maximum three eggs at the same time in their nests. However when finding a nest with three eggs we should leave be because they are usually bad (started growing). 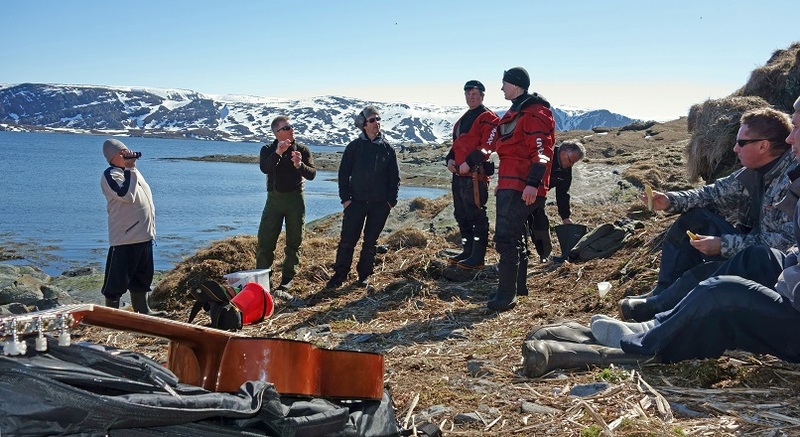 After instruction we all spread out in smaller groups across the island to start the search for eggs. 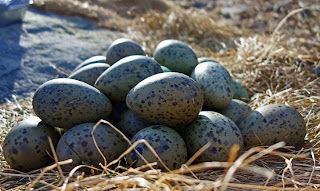 There was nests with eggs everywhere and after only one hour all of us where back at the camp site with hundreds of eggs. 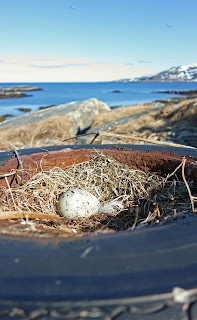 Martin put some of the eggs in a pan and put it on the fire. 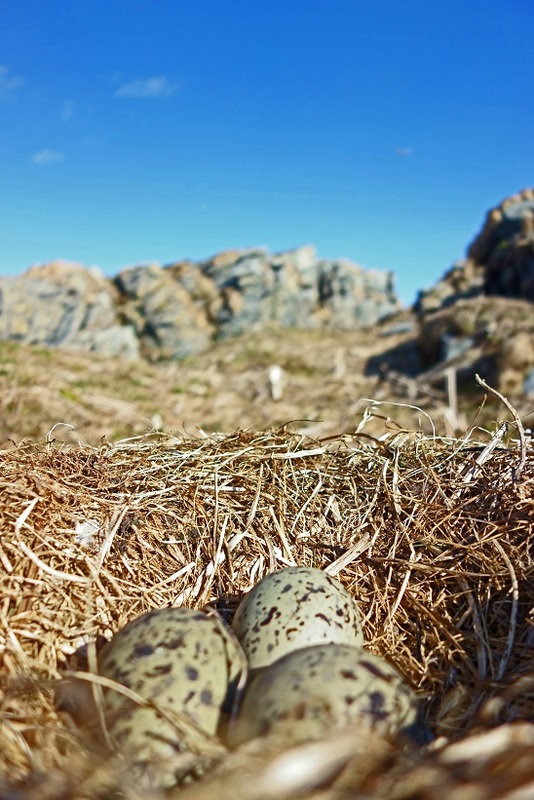 15 minutes later the buffet we had set up was completed with seagull eggs and the feeding frenzy started! After some relaxing we went out again to explore the island further for a couple of hours. 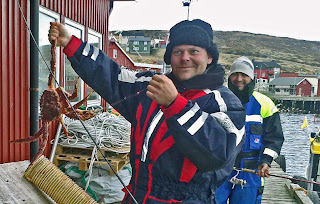 It was time to head back to Mehamn but on the way back we took up our two king crab cages we put out the day before. In one of them was two big king crabs and in the other two small. 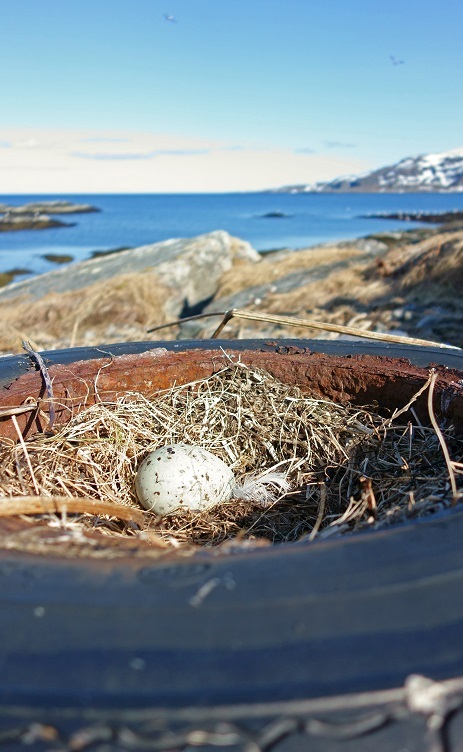 Many places can be good for a nests, here an old car wheel!